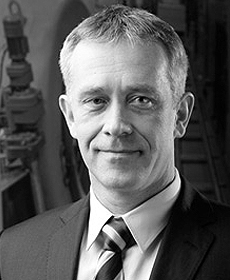 Maciej Korecki became the Vice President of the global Vacuum Product Group in 2012. 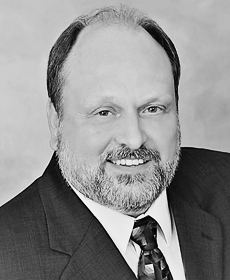 Dr. Korecki has authored numerous international patents on behalf of SECO/WARWICK, and regularly presents technical papers at international conferences on a variety of topics, specializing in vacuum furnace technology. He earned his Master of Electrical Engineering from University of Zielona Góra 1988 and completed his Ph.D. from the Łódź University of Technology with his thesis on the theoretical and experimental methods of design for high-pressure gas quench vacuum furnaces. He began his career at Elterma in 1988 as a service engineer for vacuum furnaces. He then joined SECO/WARWICK in 1991 as a Project Engineer on the Vacuum Team. He later served as Director of Research and Development from 2005-2009, leading the team that developed new technologies both in metallurgical applications and power management systems. He served as Director of the Vacuum Team in Europe from 2009-2011. Mr. Skarbinski became the CAB Global Product Leader in 2006 and serves on the Board of Directors for the Cuprobraze Alliance. He earned an MSc in Mechanical Engineering from the University of Zielona Góra with a specialization in precision and biomedical instruments. His professional career began in 1988 with Elterma as a project engineer. He joined SECO/WARWICK in 1990 as a project engineer for atmosphere furnaces and was promoted to Atmosphere Furnace Team Leader in 1995. In addition to these responsibilities, he worked with both the Aluminum Process and Incinerator product groups. In 2000, he assumed the position of Director of the Controlled Atmosphere Brazing (CAB) Team in Europe. 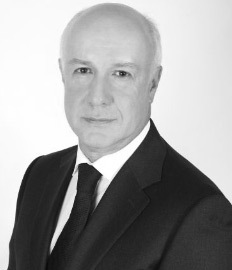 Jaroslaw Talerzak joined the Management Board of SECO/WARWICK Group in 2013 as Executive Vice President, responsible for the global Atmosphere product groups. Mr. Talerzak began his career at SECO/WARWICK S.A., beginning in 1998, where he served in a variety of positions in both vacuum and atmosphere products until he was named Director of Aluminum Products for Europe. 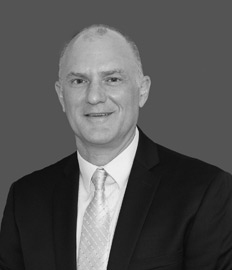 He was promoted to the position of President, Managing Director of Elterma S.A. 2011 where he led the consolidation of the company, renaming it SECO/WARWICK ThermAl S.A.
Earl has spent a majority of his working career with three different companies, General Electric Environmental Services, Marsulex Environmental Technologies, and Metso Minerals. He has held roles of increasing responsibility throughout his career, including various management positions. With Metso Minerals since 2003, Earl held the positions of FDG Product Manager, Manager of Proposals and Estimating, Vice President, Global ETO and Vice President Global Engineered Spares. During his most recent roles at Metso Minerals, Earl was responsible for driving growth in the business unit and developing and implementing various global initiatives. Earl possesses exceptional communication skills with the ability to work with diverse cultural groups. He has gained hands-on leadership experience across a range of product lines and multi-disciplined teams, including management of multiple locations. Earl graduated from Penn State University, where obtained a Bachelor of Science Degree in Electrical Engineering. Eight years later, he received a Master of Business Administration Degree from Lebanon Valley College. Earl Good was appointed to the position of Member of the Management Board of SECO/WARWICK S.A. starting on January 2, 2019. 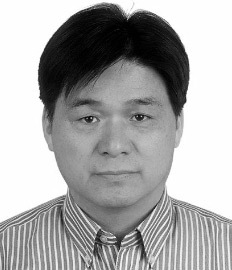 Mr. Liu Yedong graduated from the Northeast Heavy Machinery Institute and majored in metal material and heat treatment in February 1982. After graduation, he worked in Beijing Machine Tool Research Institute focusing on material selection and process development of the key components for machine tools. From December 1990 to October 1992, Mr. Liu worked in the international cooperation department of the Ministry of Machinery & Electronics Industry. From November 1992 to February 1998, he worked in Voss GmbH as Chief Representative and started his new career for sales and marketing for various industrial products. Ipsen is one of the manufacturers represented by Voss GmbH in China. In March 1998, he joined Ipsen Industrial furnaces (Shanghai) Ltd. as Sales Director, built a sales team and was strengthening market position for over 16 years there. 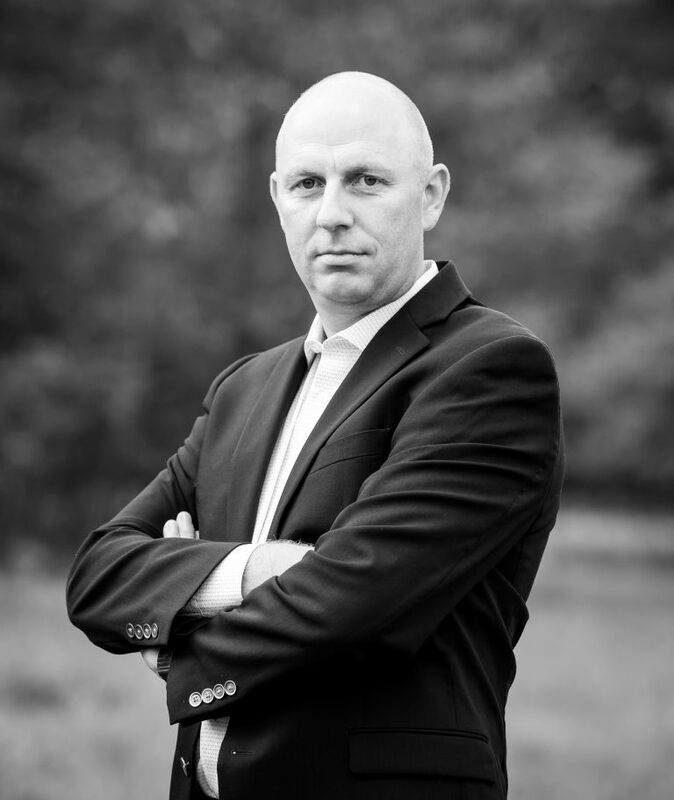 In June 2015 he joined SECO/WARWICK Retech thermal equipment manufacturing (Tianjin) Co. Ltd. starting as a Sales Director, then was an Acting Managing Director and, at the beginning of 2017, was appointed Managing Director. Having graduated from the Physics Faculty of Saratov State University, Mr. Sergey worked as a Radiophysics Engineer in a geophysical company. 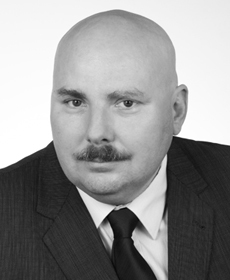 In 1990 he started working for “BÖWE Reinigungs und Wäschereitechnik GmbH” a joint Russian-German industrial enterprise, first as a Pre-production Engineer, then as a Head of Production Planning Department, Head of Sales Department, and finally as a Business Manager. Mr. Sergey graduated from the Russian-German Management School with the MA degree in Management. In 1996 he entered the MBA program of Daimler Benz AG corporation (later known as Daimler Chrysler), majoring in Finance, Financial Leasing, Marketing, Sales and Project Management. 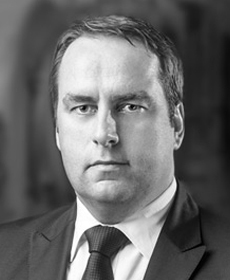 During his time with Daimler corporation, Mr. Sergey worked for such companies as Daimler Chrysler Services AG (Mercedes-Benz Lease Finance, International Trading) in Germany, DaimlerChrysler Automotive Rus in Russia, served as a Head of Daimler Chrysler General Import in Russia project, CFO and CEO of Mercedes-Benz dealership centers. In 2002 he became a Head of SR Systematics Group GmbH (Germany), a company which operates in the sphere of coordinating international (USA - Germany - Russia - Kazakhstan) investment and trade projects, project management, and industrial marketing. Mr. Sergey was responsible for cooperation with companies, development and implementation of promotion projects for Kazakhstan and Russian markets for such companies as: Daimler Chrysler AG (VTD GmbH (Germany), TM-Vacuum Products, Inc. (USA), Danco Anlagenbau GmbH (Germany), Gühring Hartmetall Berlin (Germany), Dornier Consulting GmbH (Germany), Fraunhofer Institut (Germany) and others. He was planning and implementing the creation of Competence Centers in the sphere of Heat Treatment, Special Metals, Hardening Coatings. 2005 marked the beginning of the collaboration with VON ARDENNE Anlagentechnik GmbH (Germany) and RETECH Systems LLC (USA), SECO/WARWICK S.A. (Poland) and implementation of their projects in Kazakhstan and Russia. In 2013 г. He was appointed Managing Director of SECO/WARWICK Russia. MANAGING DIRECTOR, SECO/WARWICK Systems & Services (INDIA) Pvt. Ltd.
Mr. Manoranjan Patra is a graduate of The Institute Of Engineers with a degree in Electrical Engineering. His professional career began at Simplicity Engineers (1995) as a Sales Engineer and at Joined Sandvik Group as Manager promoting the Furnace/Energy Efficient Insulation business in India. Afterwards he joined WESMAN ENGINEERING as Manager and was promoted to Head of the Sales (DGM), then he joined Fives Group as GM Sales for combustion division. 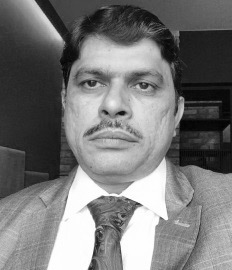 In 2015 Mr. Manoranjan joined SECO/WARWICK as Team Leader (Vacuum) for the Indian Operation and was promoted to the position of Managing Director of SECO/WARWICK SYSTEMS and SERVICES (INDIA) Pvt. Ltd responsible for all the SECO/WARWICK products in India. Mr. Piotr Zawistowski is a graduate of the Technical University of Czestochowa where he earned a Masters Degree in Material Engineering. Mr. Zawistowski graduated from the prestigious Executive Program in General Management (EPGM) from the Sloan School of Management at MIT (Massachusetts Institute of Technology) completing extensive training in a variety of business management courses. His work experience at SECO/WARWICK began in 2005 as melt team service manager. In 2009, he assumed director duties of the vacuum carburizing furnace group. In 2013, Mr. Zawistowski became Global Product Manager of the vacuum carburizing and vacuum oil quenching group and in 2014 ascended to the General Manager position for product management and sales at SECO/WARWICK Corp. in Meadville, Pennsylvania. Currently, he is Managing Director of SECO/Vacuum Technologies, North America’s newest vacuum furnace company. Robert Kucharski graduated from the Poznań University of Economics, the field of study: management and marketing. He gained work experience in large industrial enterprises (among others automotive industry) in the sales division and operating division. Employed in SECO/WARWICK since 2005 and ever since has been dealing with the development of sales on German-speaking markets. 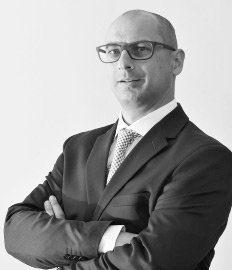 In 2008 he took over a position of the production plant director to create a company sales division and focus on professional services of the European office of SECO/WARWICK Group. From January 2016 - 2018 he was a member of the board and managing director of SECO/WARWICK Services Sp. z o.o. which fulfills the Group’s goals in the field of after-sale services related to modernizations or repairs of devices, spare parts sale and servicing. In September 2018 he was appointed Managing Director of SECO/WARWICK Germany. Katarzyna Kowalska earned a master’s degree at the West Pomeranian University of Technology. In 2000, she finished post-graduate studies in Logistics and Supply Chain at SGH - Warsaw School of Economics. In 2005, she graduated from MBA studies at the Poznań University of Economics in conjunction with Georgia State University. In 2012, she completed a one-year management development program run by the ICAN Institute and Harvard Business Publishing. Ms. Kowalska started at SECO/WARWICK in 1994, first as a Purchasing Specialist, then as Manager of the Purchasing and Logistics department. 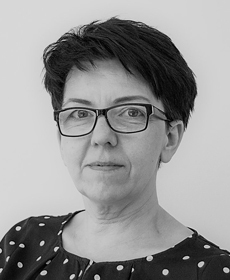 In 2004, she was appointed Director of Logistics with areas of responsibility covering purchasing, production and cost control, and in September 2018 was appointed Managing Director of SECO/WARWICK Services. Keith Boeckenhauer earned his engineering degree from the Missouri University of Science and Technology. He has completed post-graduate studies in accounting and economics at Gannon University in Erie, PA. Joining SECO/WARWICK corporation in 1984, Keith has served in a multitude of roles including Product Manager, International Business Manager, Vice President of Sales, Vice President of Engineering, Chief Operations Officer, and President, as well as Global Director of Aluminum Products from 2005 to 2012. He has authored numerous articles and papers on furnace applications for the melting and heat treating of aluminum.